Weather extremes and other environmental emergencies in recent years have intensified the need for tribal citizens to prepare in advance of disasters. This winter, Partnership With Native Americans (PWNA) is helping communities better prepare when disaster strikes with the distribution of The Native Family Disaster Preparedness Handbook to reservation programs who are participating in our Emergency Preparedness service. Written by Vincent B. Davis, Sean M. Scott et al., and published by Preparedness Matters, the handbook provides timely, relevant information about risks, options and practical steps Native American families can take to save lives and protect property – before, during and after disasters. The handbook serves as a reliable resource to guide disaster planning and recovery for culturally- and geographically-sensitive solutions on the reservations. When disaster strikes, PWNA responds quickly with disaster relief for tribes in need of supplies for the homeless, elderly, persons with disabilities, veterans, children and others. Currently, through the support of grant funding from Margaret A. Cargill Philanthropies, PWNA is also advancing emergency preparedness in Northern Plains tribal communities through training, networked collaboration and access to resources, such as the Disaster Preparedness Handbook. FEMA is NOT an individual relief organization for homeowners. FEMA plays a critical role in addressing public damages through transportation, communications, logistics management, public safety and security, but its resources are limited and only available when certain conditions are met. Qualifying for individual assistance is more challenging, especially on a reservation, so don’t rely on FEMA coverage to be available in the event of a disaster. FEMA does NOT fit the same way for tribal communities. Reservations are sovereign nations and not counties or states, yet the criteria set for FEMA aid is based on counties and states, so aid is typically skewed in favor of non-tribal populations. Additionally, individual aid is based on area-wide loss rather than individual property value and there’s a cap. Homeowner’s insurance is critical. Oftentimes, tribal members live in homes owned by the tribe itself but uninsured, or homes conveyed to the member by the tribe, but residents are unaware that they must purchase insurance on their own for their dwelling and personal property. 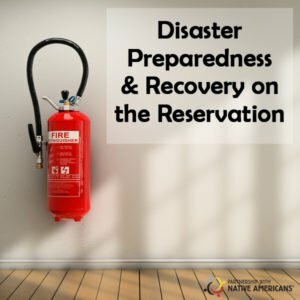 If a home is severely damaged, rendered unlivable, or destroyed and federal dollars are unavailable to rebuild, residents can be forced to live with relatives in overcrowded spaces, be relocated off the reservation entirely, or become homeless. The ripple effect can be catastrophic. Having adequate insurance can be a financial lifeline that not only will help you rebuild your life, but also pay for additional living expenses, food, clothing, furnishings, debris removal and many other costs. For more information on FEMA and how you can better prepare ahead of a disaster, visit our Disaster Resources page. You can also download our FAQs, Disaster Facts for Homeowners and more to better understand FEMA and regulations to keep in mind as a homeowner. This entry was posted in Grant Projects, Humanitarian and tagged Disaster Preparedness Handbook, disaster resource, FEMA, homeowner's insurance, Margaret A. Cargill, Native Americans, tribal communities. Bookmark the permalink. Trackbacks are closed, but you can post a comment.